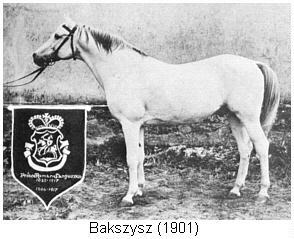 Elegantka was called "Pearl of Polish Breeding". She was taken to the USSR in 1939. 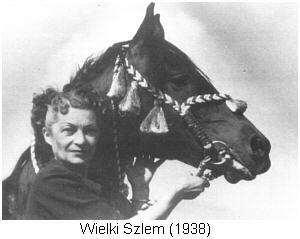 Elegantka was the dam of the following chief sires used in Poland: Jaszmak (1928) - sold in 1936 to Czechoslovakia, Lowelas (1930), Opal (1933), Rosomak (1935), Skarabeusz (1936), Nazir (1932) - exported to Estonia in 1937 and most famous of them all Wielki Szlem (1938). 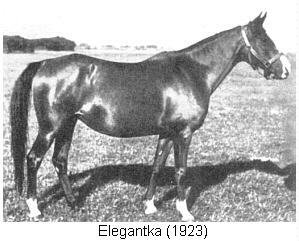 Elegantka also produced the valuable mares Kamea (1929) and Mulatka (1931) - Oaks winner. Both taken to the USSR during World War II in 1939. 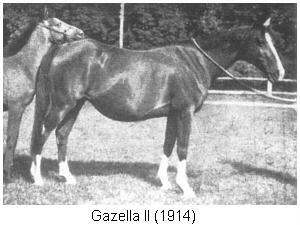 Lowelas 1930 Stallion Chestnut Koheilan I Trakehnen, Germany 1942?